Reception. As a practice owner, you’ve put a lot of resources into the people answering your patient calls. Staffing, training, booking tools… this is a valuable section of your staff! So it begs the question, are you using it well? 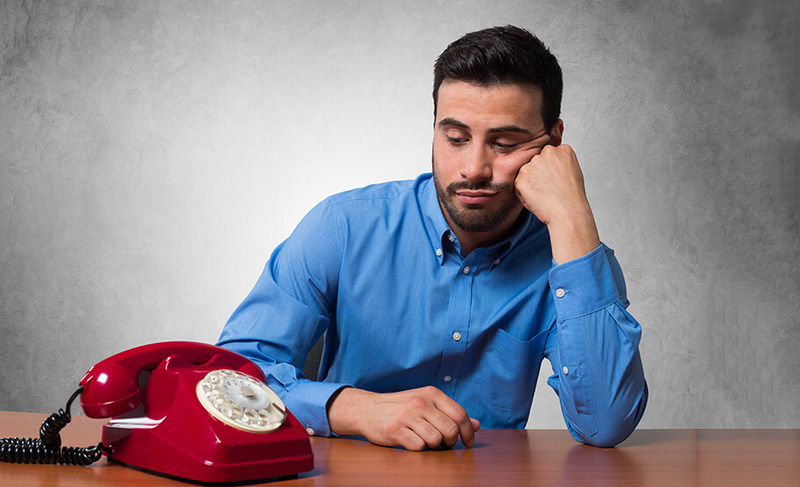 A study by Invoca indicates that 65% of people prefer to contact a business by phone vs. a web form. Needless to say, there is a huge patient growth opportunity in your phone lines. On the other hand, if the phone isn’t ringing these fantastic employees aren’t getting a chance to close potential patients and your practice money is going to waste. So it’s important to evaluate your marketing plan for call-in opportunities. Let’s look at 7 places your phone number should be to drive more patient call-ins for physical therapy. AKA: Put your number right under people’s thumb. More and more people are turning to mobile web browsing as a primary source of information. We evaluated over 150,000 PT website sessions to see how our industry stands. Our data shows that while physical therapy websites still see a majority of traffic from a desktop, the best-performing sites are at typically split about 50/50. Depending on your traffic, that could be thousands of people per year! Why is this important? Well, despite what millennials seem to think mobile devices can call people (shocking right?). A properly placed call button on a website header puts every mobile viewer’s thumb mere inches away from reaching out. Above is an example from one of our clients, Every Body PT. It’s a good idea to include a visual such as a phone icon instead of extra text like “give us a call.” This will save space and communicate more quickly what the button is for. Lastly, if you use WordPress for your website there’s a ridiculously easy plugin you can use to add this without coding. Check out the Call Now Button here. Email is another great place to get patient calls as it is once again viewed on mobile heavily. Sure, readers are more likely to click through to a blog post but a super consistent, well placed Call Button or number will begin to stick in their subconscious. When they do finally decide they need to seek treatment, repetition will help make sure it’s your number they look for. Plus, they’ll know where to find it. This goes for any marketing materials sent out regularly. Wait, don’t skip this section! I think I just heard several of you say “do we even have that?” The answer is Google shows contact info for your practice on local SEO searches whether you control it or not. That being the case, it’s important to sign up for a Google my business account and enter your correct info. This could be the most important item on the list. Setting this up is as easy as starting a Facebook account. Here’s a great step by step video to help. Don’t wait to do this for your practice – people are searching Google now! Bonus tip: There are literally hundreds of other listing sites out there, as well as GPS apps and other tools that store business info. In our marketing tools, we offer a listing service that stores your accurate info and pushes it to most of these listings. Check it out here if you’re interested! Include your patient newsletters & referral cards. Just as I said before, marketing materials that go out regularly should have a handful of consistent elements that become familiar to your readers. Your logo is the obvious one but your website and phone number are not far behind. As readers see your patient newsletter each month it will begin to engrain in their memory. When they hear physical therapy or consider treatment, they’ll know where to look. If you’re looking to improve your practice newsletter results check out this 6 Minute Video. You also want to include your number on referral marketing materials such as postcards. Make this one in the same style or color as the CTA on your website. That way, when a new lead looks you up, they’ve been exposed to your phone number twice already! Create a clickable link for readers coming from email or social media. Done correctly, digital newsletters can feature clickable links which drive much more engagement than static PDFs. Since most of us email our patient newsletters, you can count on many people using a mobile device, which makes adding your phone number as a CTA essential. Don’t have a practice newsletter system? 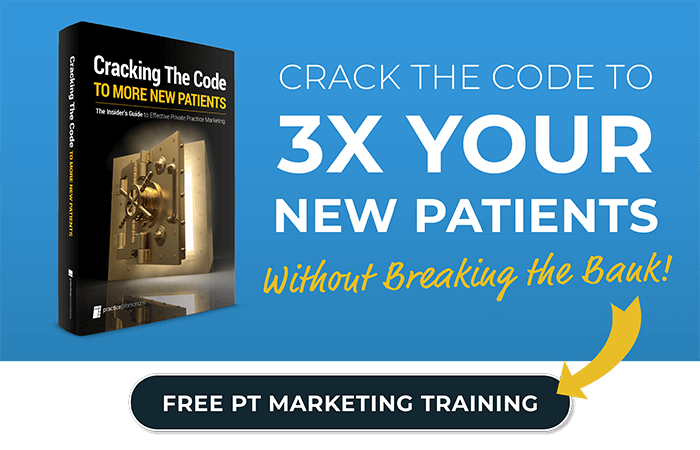 Start reactivating patients today! Why not pay for calls instead of clicks? Do you advertise your practice through Adwords? If so, Google has a “click to call” ad type that shows improved click rates over standard ads. This may not apply to everyone so I won’t go too in depth, but if you are using Adwords consider setting up a Click-to-Call campaign. And don’t forget their staff! Physicians and their staff need to be able to make referrals easily and help clients schedule with you. Think about the doctor’s staff being busy and multitasking like your own. What tools would your reception desk benefit from if they were referring? A great tip from another article on Increasing Physician Referrals is to consider a dedicated phone number or extension for your referral coordinator. Even if you don’t have a specific staff member for this, just a dedicated “Physician Communications” callout in your marketing can send a strong message of teamwork to local doctors. Before someone walks through your door, nothing beats the personal service you can offer over the phone. I highly recommend taking some time this week to review your procedures for handling new patient call-ins, it could drive serious traffic! Also, make sure your staff is trained on handling upset customers. And finally, make sure every answer is fueled by your mission to help people live healthier and pain-free.